This build replaces my very old X58 i7 build. I use this almost exclusively for gaming. Building Black Widow was a great experience, I had lots of fun building it. Although I'm not new to computer hardware, I've never picked up all the parts myself and built from scratch. I did a lot of research as I wasn't at the edge in terms of recent computer hardware knowledge. I learned a lot in the process. Right now, I've overclocked the CPU a bit with the built in settings of the motherboard. I am waiting for an extra CPU power cable to arrive before I try anything more aggressive. The temps so far are great and I'm loving it. I've also overclocked my graphics card and I managed go about 1380 Mhz for GPU clock rate. Although the temps under load were a bit high (80 degrees) for me. Great CPU and great temps at stock speeds as well as mild overclocks. But it doesn't have much headroom for overclocking. Temps go out of hand with about 4.7 to 5.0 GHz. I think it can be managed with better cooling. I didn't want a huge fan on top of my CPU. H100i v2 was easy to install and performs very well. The tubes were very rigid, it made a bit difficult to bring any adjustments after installation. I love this motherboard. Lots of overclocking options and lot of control. It also features easy overclocking options via software and with a hardware dial as well. Has a button to clear CMOS built in to the motherboard which is accessible without opening the case. The software controllable RGB lighting suits great to my black and red theme. 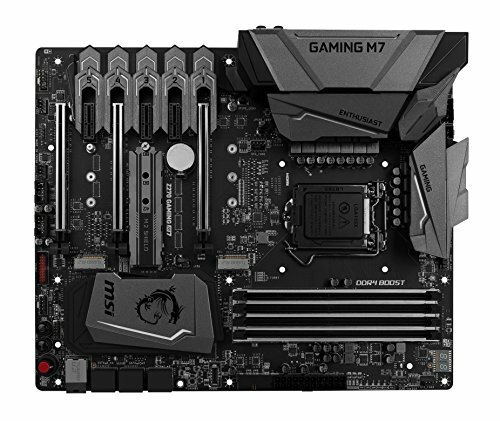 I had my doubts about where to plug the AIO power on this mobo. As it provided one for CPU_FAN and CPU_PUMP. I tested both and it works with either. However, I read on MSI website that the PUMP header is capable of putting out more power. So that's what I used in the end. The motherboard also has dual CPU power headers. An 8-pin and a 4-pin header. My PSU didn't have extra CPU power cables and I was in doubt whether I could boot without the CPU_PWR2. I tested with 1 8-pin header and found out that it boots and works without any issue with the 8-pin alone. Later I read that the extra 4-pin is necessary when aiming for higher overclocks. Nothing to complain, gets the job done. I like the fact that these are low profile and have no idea even they're there. Great SSD for the value. Performs really fast, about 8.5 seconds to boot Windows 10. The best for the budget. Provided that I'm currently playing at 1080p, this card can manage most games with high or ultra settings with a decent frame rate (45-60 FPS). I also managed to get about +150Mhz overclock which was great though it ran a bit hot (80 degrees) at that speed. I was initially looking at the 850W version of the RMx series. This isn't the best power supply for this build. It has only 1 CPU power cable. While my motherboard needed two. Currently my motherboard runs with 1 8-pin without the extra 4-pin attached to the PSU. I have ordered an extra CPU power cable separately. And may replace this with a higher wattage PSU in the long run. wow It looks great man with Red and grey theme! Thanks. Truely said about the graphics. I think I'll wait for Vega. That'll drop the prices a bit I hope. Great build and parts! 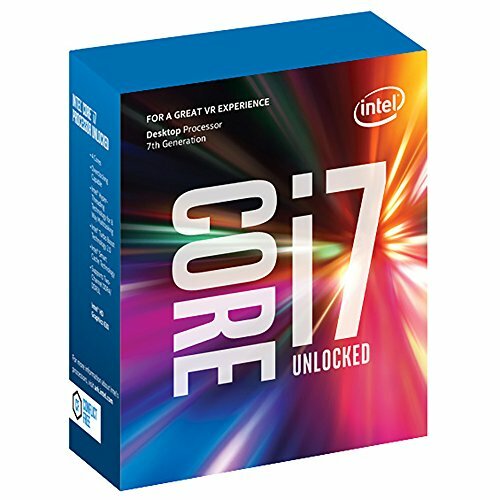 I'm interested on the case for my own build. I was planning on getting an nvme drive instead of a sata ssd. 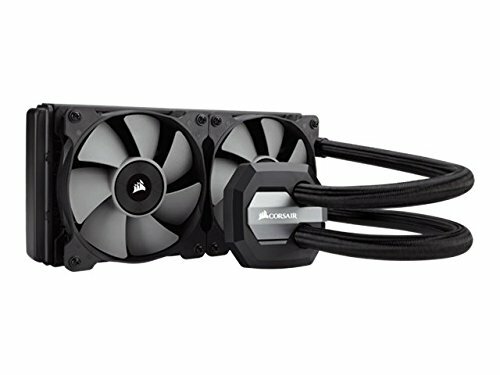 Would you say that the bracket on the PSU shroud would look awkward without a drive there? With the case lid in place it doesn't draw too much (any) attention. Those brackets are removable too, though I have no idea how it looks like when removed. I have ordered my m2 SSD and its on the way. I plan to keep my current SSD the way it is, and use the m2 as the boot drive. And the two SSD brackets don't bother me at all, so I'm just going to leave them there. I guess its personal preference. Good to know the front bracket is removable, thanks for the info, it's truly appreciated. I'll be looking into it further. I guess I'm a bit ocd as the thought of a somewhat odd-looking psu shroud has made me look elsewhere. For that m.2 boot drive you plan on getting, would you also put some games on it and use the SSD for other things (pictures, non-gaming programs, etc)? I'm thinking that might be the route I'll go for my file placement. My understanding is that the speed of m2 nvme is negligible in gaming. I'm looking for faster boot times here with nvme. I'd use the existing SATA SSD to hold games, change that to a 1tb in the future. Full game archive would be on a NAS. I myself believe am in need of some expert advise for this I suppose.